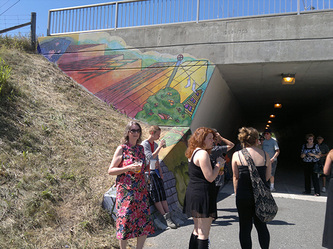 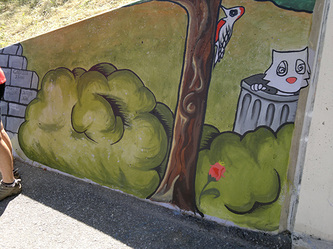 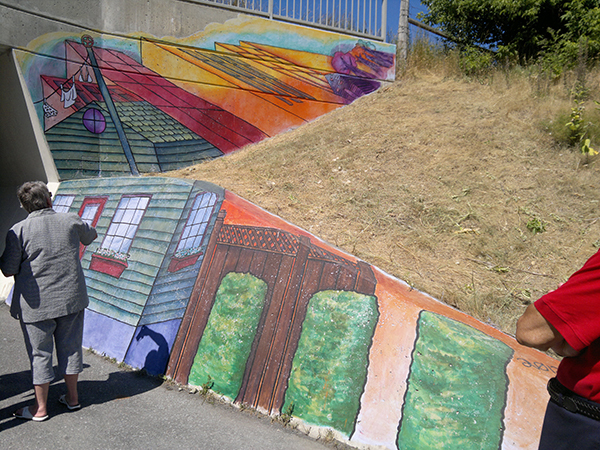 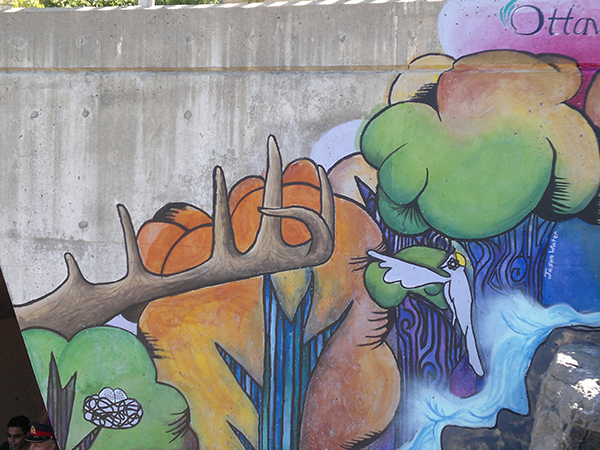 Check out the wonderful art work painted on both entrances to the tunnel located near the north end of Salter. 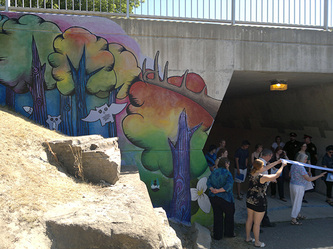 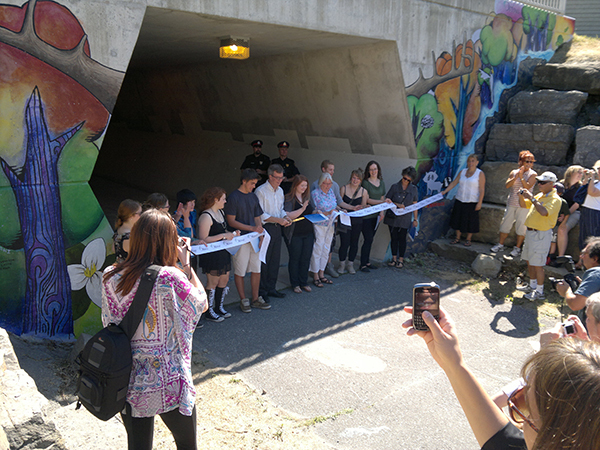 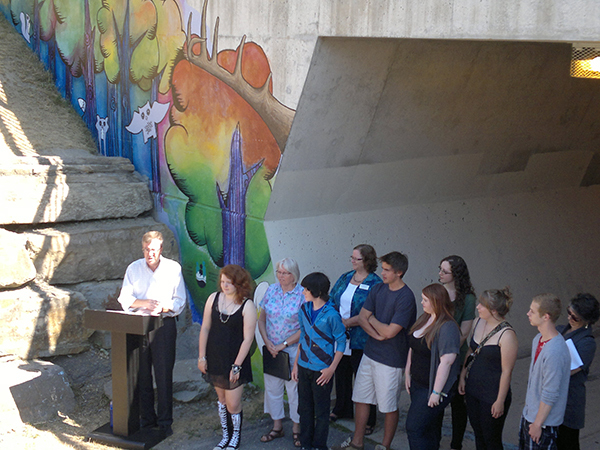 This successful City of Ottawa program provided an opportunity for young artists to use their talents and to provide a place for them to showcase their work with an eye to dissuading graffiti. 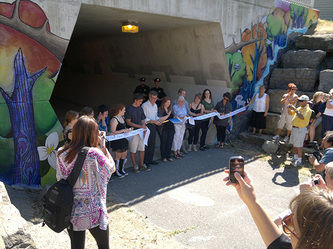 July 12, 2012 was the official ribbon cutting. 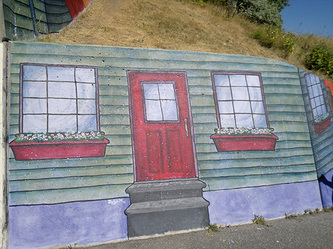 Click on any image to see a larger view.